Replacing fuses, replacing a headlight bulb, replacing a wiper blade, changing a tire, jumping a battery, replacing a battery. Re-filling fluids (brake fluid, engine oil, transmission fluid, and power steering fluid, and engine coolant (anti-freeze)). To learn about each of these fluids and where to check them, click here or see your car manual book. To learn (step-by-step) how to replace fuses, headlights, and wiper blades click here. To learn how to change a tire click here (three-minute video), or for jumping a battery click here (three-minute video), if you’re interested in learning how to replace a battery click here for a six-minute tutorial. 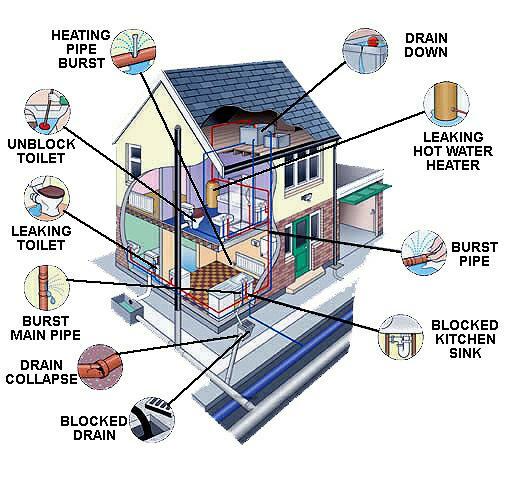 Now onto home repairs; whether it’s a broken kitchen cabinet, the clogged up sink in the bathtub, a wet floor from washing clothes or annoying leaky pipes, and the smelly backed up toilets its time to learn some cost-effective tips and do-it yourself. To learn more about fixing and/or replacing cabinets click here. To learn about three different ways of fixing clogged up sinks click here. For information with pictures to fix a leaking washing machine click here; to fix a leaking pipe click here, to replace a pipe click here, and click here for a step by step guide to repair a backed-up toilet. Note, if these items are still under warranty then you should call and have the store to replace these repairs, otherwise, simply follow instructions provided above and easily save yourself hundreds of dollars. Are u still worried about electrical wiring problems? We’ll Progress Energy is offering up to $500 of annual coverage that includes, common electrical repairs (wiring, breakers, outlets, interior wiring, and more), and a one-call service by licensed, insured electricians for just $3.95 a month! What emergency repairs have you encountered and how did you solve it? Subscribe or be sure to tune in for next week’s topic and discussion… Lesson 2: Money Management!